By now most of us have seen previews for Captain America: The Winter Soldier, which hit theaters this past weekend. Fans from all around have made their way to the box office on opening weekend, because this film has made over $101 million in just the first few days! This proves that Marvel has done another fantastic job – and there’s no doubt fans are already anticipating to hear what’s next! While I was in Los Angeles, I had the opportunity to sit down with The Winter Soldier, Sebastian Stan to hear his thoughts on the Captain America film. Sebastian Stan started off by letting us know his reaction to getting the part of Bucky Barnes was exactly the opposite of what he had thought it was actually going to be like. Stan said instead of jumping up and down screaming, he was very quiet and still. He kept replaying the conversation and was really excited. …And who wouldn’t be excited to be cast for such a phenomenal part? Was it difficult to change form from Bucky into the winter soldier? Sebastian Stan: Well, yes and no. I would say no in the sense that everything is so spelled out for me in the comic books that I sort of feel like I have that to follow as a guide. Yes in that certain things from comic books often—don’t—they’re not so easily translated to the screen, and so there were things visually that were new that we had to discover about the character. 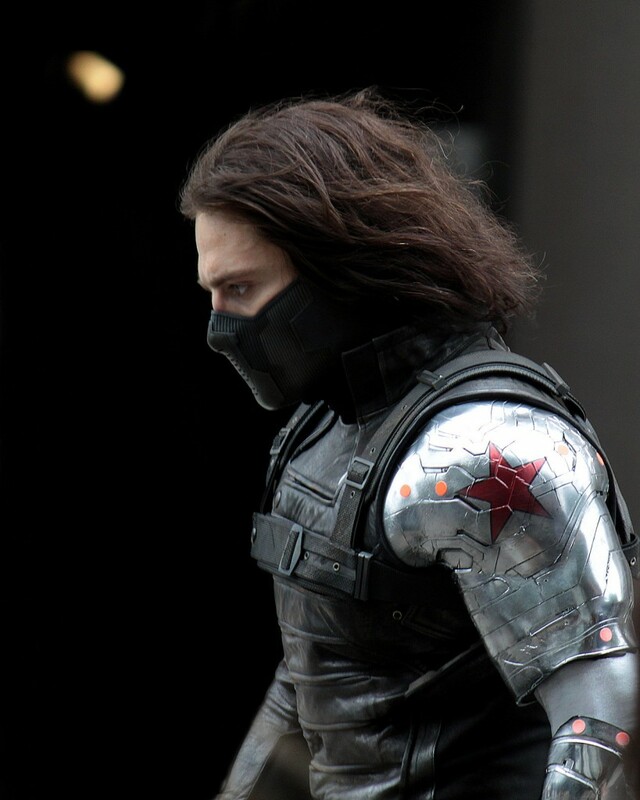 I mean in the comic books there was a lot of information but in terms of how the winter soldier moved, how he behaved, what his presence was like on screen, those were all things I had to sort of discover once I was in the outfit and we were actually shooting the movie. And that was more difficult I suppose. At the end of the day the most difficult part was playing someone that’s very different while at the same time the same person. Sebastian Stan: Probably any of the stuff that I had with Robert Redford was pretty memorable. That’s where I really remember sort of telling myself you know, just be here. Be present. You know, take him in, on and off set. On set it was like suddenly I was in a situation where the whole reason for me going to acting school and everything was sort of here. I was with this man and he was being very generous as an actor with me, even though he’s obviously who he is. And then, off set sort of just wanting to see if there was anything I could pick his brain about in terms of people he’s worked with. So that was pretty special. I don’t know if I have one, I mean I’m so biased, you know. With these movies now especially now that I’ve gotten to know the Captain America storybook so well, um, I’m kinda biased and they’re sort of like my favorite. You know, if I had a choice and they were to come up to me and go “Do you wanna be a character in the Captain America storyline or the Ironman storyline or the Thor storyline?” – I would definitely pick the one that I’m in. And so, favorite villain? Though I’ve had a few, I mean the T-1000 was always somebody that I thought was an incredible villain. […] Gary Oldman in (Leon?) uh, The Professional! That’s a great villain, he’s played quite a few. So, yeah there were a lot. And then Terminator Two was another one, I mean those were all really great villains. When you have a really good villain that’s a realistic threat, the movies are better.